Category Archives: Dan the Brewman! Many steps and processes go into starting a new brewery, and one component to opening a brewery that flows through the moment you decide to open your brewery, to having it open for business, is marketing. A key factor to starting a brewery, marketing feeds momentum from the get-go. Its fun, exciting, fuels both the business and creative sides of your brain, and developing this area of your business plan will help your brewery when it is both starting out and for the future. Marketing is ever evolving, and understanding how to build a strong marketing plan and grow with the fast growing Craft Brewing market is both challenging and fun. But have no fear, MBEC is here to help cut through the brewery marketing fog with some marketing tips! Who are you? Develop your brand, your name, your image. Having a brewery is more than a logo on a bottle, or a sign on the door, create a story of who you are and what sets you apart, and weave that into your marketing plan. Take the time to sit down and discuss what you want your image and story to be – creating a captivating story of your brewery will grasp your patrons, and having your story at the heart of your marketing efforts will help people connect more with your brewery and beers. Creating a strong story behind your product will help cement your presence within not only your local craft beer scene, but throughout the market. Knowledge is Power! Knowing your market is key. Extremely key. Every market is different, and understanding what makes the Craft Beer Industry market tick will help your brewery tremendously for the future. Know your clients – who are the type of people who will drink your beer? Where are they drinking now? Where are they buying beer products currently? ALL key questions to ask and research. The better you know your clients, the better you can reach out to them, and the more likely they will buy and enjoy your product! Engage is the word – Engage, Engage, Engage! Engaging your customers, and getting them excited about your brand, story, and product is a critical point in marketing your new brewery. Getting people excited early and often will help create buzz and excitement for your brewery and products before you open (if done properly). Nowadays there are seemingly unlimited paths to engaging new and existing customers, both online and ‘traditional’ methods. Utilizing your personal website, along with the multitude of social networks – including Facebook, Twitter, Google+, YouTube, and LinkedIn, are all great places to start. There are numerous great, fun, and inventive ways to engage your customers based on our brewery’s story and brand – so get creative and use all assets to your own advantage! Try different things, and see what seems to engage your customers best. Engaging takes a lot of effort, and finding the right person to help maintain customer engagement is a full-time job – so be prepared to log many hours reaching out and engaging your customers. PRO TIP : Start early, the most you can market and create buzz before opening your brewery can help you get off on the right foot quickly. Develop a webpage (even a simple one) that allows people to find you easily online, setup a Facebook, and blog, and keep them updated frequently. Got Promoting? – Having your product be noticed, tasted, and reviewed should be the ultimate goal for your brewery (d’uh, right? ), but it can be easier said than done. How will you get your beers, your brewery, and your image to stand out? 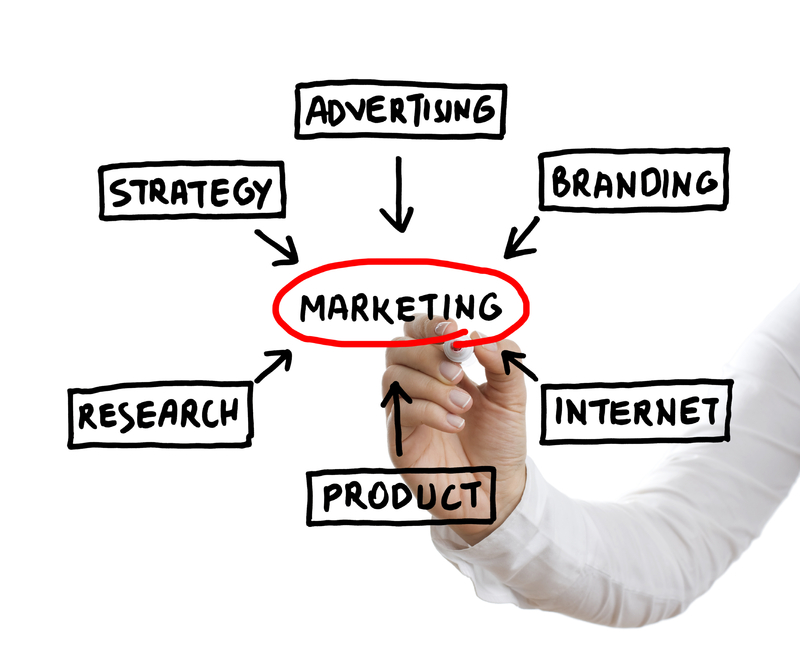 There are a lot of details to think about when promoting your product, and many avenues to do so. You need to create a plan and strategy from promoting your brewery all the way from advertising down to beer packaging and t-shirt designs. There are a lot of great opportunities to also promote in person, including heading out to your local bars and talking to people and attending events as a spectator, exhibitor, and judge, in addition to talking with friends to spread the word and hype on your opening brewery. PRO TIP : One great way to gain attention when first starting out is partnering with local businesses to promote your product. In addition to distributing your own product (in whichever way you choose), local food trucks, restaurants, bands, artists, and various people love to partner with up and coming breweries in this current craft brewery boom to promote both your product and theirs – talk around the town and see if that could be a good option for you. Whether you choose to tackle marketing internally, or have a company handle your marketing needs, take a deep breath, and know that when it comes to marketing for breweries, it is not only fun and exciting, but there are a lot of options available to you to ensure your brewery will be seen, be loved, and be successful. 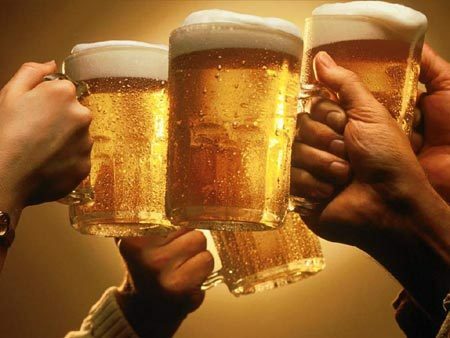 TAPHANDLES – the only dedicated beer industry fully integrated marketing company. “Marketing in a Crowded, Thirsty Space: Lessons from Heavy Seas!” – Article outlining the successful marketing efforts of the Clipper City Brewing Company. Learn tips and tricks from a brewery itself. SO, YOU THINK YOU CAN BREW?’ is brought to you be Dan Kahn, MBEC’s resident brewery and all things beer consultant. This segment was broken up into parts, and this is the end of PART 5 and concludes the series. Hope you enjoyed tricks of the trade to aide you in your dream brewery! SO, YOU THINK YOU CAN BREW? – PART 4: Opening the Brewery Doors! Your brewery is coming into full form, and the dream is nearly bursting into a reality. The technical skills have been toned, a business plan has been drawn up, you’ve found the perfect location, found the equipment you need (Which will be great, because it will be from MBEC of course! ), you have your brewing materials squared away, millions of forms have been filled out and sent, and you’ve found the key personnel to make a brewery family and bring your dream to life. What’s left? Well opening your brewery of course! Opening Your Facility – The Time has Finally Arrived! Up until this point a lot of hard, pain-staking leg-work for having an operating brewery has been done, and now comes the fun part: opening the brewery doors for business! Even though finally being able to move from “brewery in planning” to operating brewery is a great feeling, the new phase of work is only beginning. From here on out new sets of challenges, both fun and hard, are about to come, but have no fear, we have words of advice! 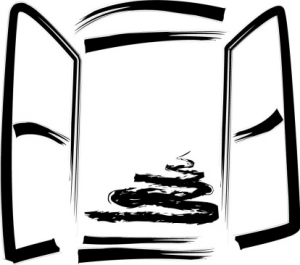 Yes, something will go wrong: There will be issues, glitches, problems, and overall hiccups – nothing will be perfect. Accepting that and taking a deep breath will go a long way. It’s okay to have problems, and learning as a company how you will work through them will be a huge factor for the success of your brewery and can actually be a good part of this whole process. Everything Up To Code? 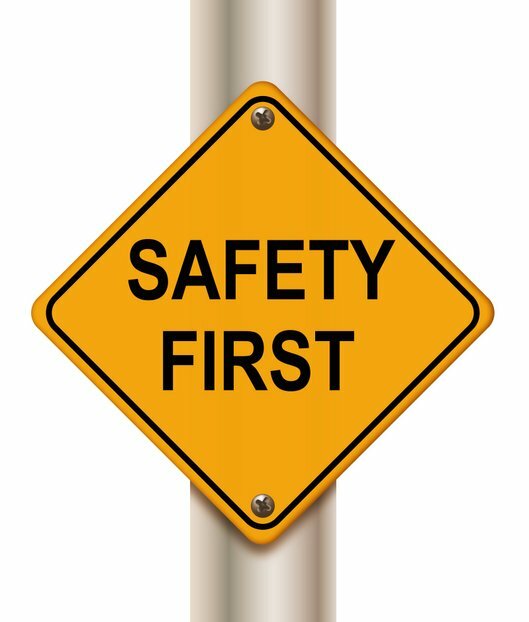 : Make sure you know of all regulations that need to be checked before opening. Double, triple, quadruple check the regulations for both federal and state level. Do you have all the right permits, licenses, and everything up to code? Can’t open if you don’t go through the legal steps first, including building, hygiene, and safety regulations that could get you in trouble if you haven’t got those approved prior to opening. Who Does What, When, and How? : Establish a system for running operations at your brewery daily, weekly, monthly, and long-term. Having an efficient method to the madness will make running your brewery much less stressful, and help ensure things chug along in the right direction. This applies to the beer making process, distribution, managing inventory, and also managing employees. PRO TIP! : Have a taproom? Be sure to factor in how operations will be effected by having hours dedicated to your taproom, and come up with a plan on how you want to run your taproom. What To Brew: Know what you are going to brew. Doesn’t have to be years in advance, but have a plan for what brews will be first when opening , and what could be done down the line – this will help to make sure you have the proper ingredients ordered and ready and mange equipment operations. Plus, this will feed into your marketing, people like to know what’s coming and you’ll already be ready to let them know! Where’s the Beer? : Know where you are going to sell your beer and how it will get there? If you don’t already, find wholesalers around your area that you can sell your beer and/or determine how you can distribute through your facility, i.e. a taproom. Retail stores (in some states), restaurant/bars, and liquor stores are you friends, but there are different ways to go about distributing your fabulous product. Take a look at Distribution 101 at ProBrewer.com for great tips on different methods of distribution, and be sure to not overlook this vital part of having a microbrewery. Hum, what to charge? : Do you know what you are going to charge for your product (both brews, and any food you may sell)? Something key to figure out. You want to make profit, so setting your product pricing correctly is a key step in doing that! Look at what other breweries in the area are charging, look at the cost of your materials, labor fees, etc, and test the waters. Play around with deals and promotions to help sell your fabulous brews and gain patron traction when you are first opening your doors, could be a great way to get money flowing early. Taproom? Open softly: Are you going to have a tap room? Have a soft opening. Invite friends, family, people who helped make the brewery a reality and test the waters for how things should be run for when real patrons walk into your brewery. Helps shake off jitters too, and give you a glimpse into the fun future ahead! This is also a great way to get early buzz on your product, because who better to advertise than the people drinking your product ahead of time. These are only a fraction of the many components to consider when opening your brewery, there are many factors and steps to take and remember to do when opening your brewery, and many other tips and tricks out there. These should hopefully help reassure things you’ve already planned, or help expand your checklist – Share any tricks you have below too, share the wisdom for all! There are a ton of great books on hand that can be useful tools in opening your brewery, including The Brewers Association’s Guide to Starting Your Own Brewery and Beer School by Brooklyn Brewery. 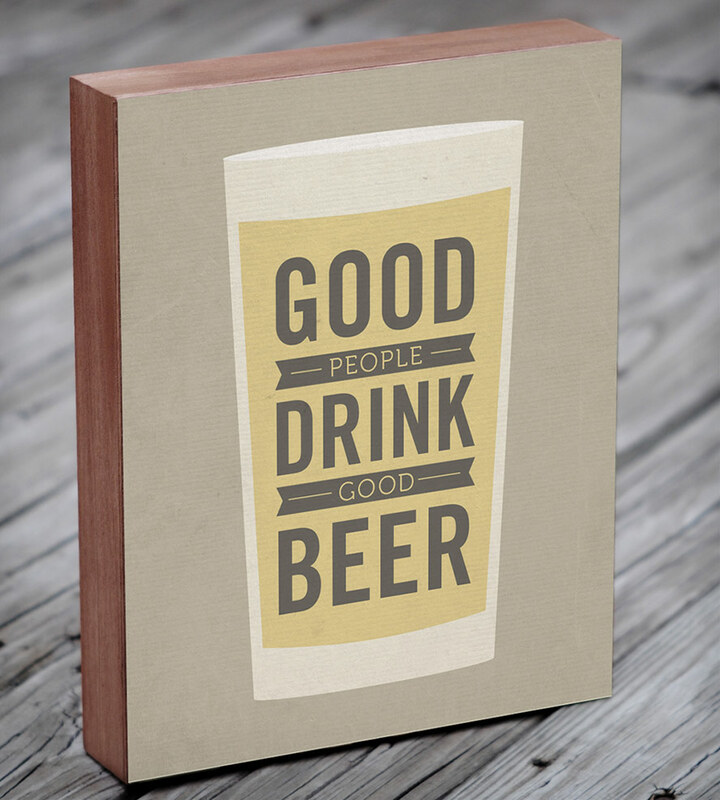 Buy and embrace the words of the brewery gospel. Also, ask fellow brewers. Don’t be shy, most are more than happy (and some really excited) to share words of wisdom and teach you tricks of the trade on opening your brewery smoothly. SO, YOU THINK YOU CAN BREW?’ is brought to you be Dan Kahn, MBEC’s resident brewery and all things beer consultant. This segment is going to be broken up into parts, and this is the end of PART 4. Check back soon for PART 5, the final blog post of this series, to learn more tricks of the trade to aide you in your dream brewery! So, you’ve toned your technical skills, have a solid business plan, figured out a perfect location, and have done research on what materials and equipment you plan to use. Next, time to look into the people that will make up the backbone of your business, and determine who the key personnel people will be with your new brewery. Making and selling beer is a complicated business, largely because of that “and selling” requirement. If you are selling beer on site at a tasting room or brewpub, you need to have a clean, appealing location with competent, welcoming service. If you are selling beer through stores and bars, you need to make a sales pitch to get an outlet to stock, and more to get customers to buy it, and enough to sell a lot more beer than if it was all at your own place. Add to that the task of keeping track of and paying your payroll taxes, excise taxes, property taxes and all your other bills, not mention someone actually making the beer, and in no time you have way more work than any one person can hope to handle. So, you need to put together a team to accomplish everything there is to do, and it better be a good one. for a brewpub, that includes a restaurant general manager, a chef or kitchen manager, and a brewmaster; a production brewery, will need at least a marketing/sales manager, office/administrative manager, and production manager/brewmaster. These team members have distinct core responsibilities, but must work together to create a cohesive, complementary approach. You can think of a brewpub as a business that sells 3 things: food, beer, and service/ambience. While each manager has a field of expertise in one of these, they overlap and support each other: the food and beer menus must both be designed with the other in mind, and dishes can use beers in the recipes; servers must know, describe and recommend the beers and food items equally well; brewery tours and talks from the brewmaster are part of the special experience. Similarly, in a distributing brewery, the beer styles, packaging and branding must all complement each other, and be appropriate for the target market. The importance of the initial construction and installation phase can not be overlooked, although it is something of a one time ordeal. Somebody on the team must be capable of overseeing and coordinating all the tasks that are involved with setting up and opening a brewery, and this is a different set of skills and experience than needed to operate a brewery. So, you may have to hire a consultant or project manager to fill in the gaps for this temporary period. Taking the time to assemble the right balance of skills and personalities at the beginning of your project will pay big dividends for years and beers to come! ‘SO, YOU THINK YOU CAN BREW?’ is brought to you be Dan Kahn, MBEC’s resident brewery and all things beer consultant. This segment is going to be broken up into parts, and this is the end of PART 3. Check back soon for PART 4 to learn more tricks of the trade to aide you in your dream brewery! Now that you have an idea of what types of beers you want to brew and how much of them you want to make, based on your recipes and business plan, you are ready to move forward with your brewery and business planning and begin the process of choosing your equipment and determine your material needs. In order to pick out equipment to start out with (and possibly to grow into with future expansion) for your brewery, you’ll need to understand both your recipe and business plan fully. For a brewpub, you may not have the space to add tanks later, since if you are busy you’ll need space for your customer’s just as much as brewing operations, so you want to start out with everything you need to reach your production goals. Another factor to keep in mind is how many beers, and what kinds, you want too keep on tap at once. You don’t want individual batches hanging around until they get stale, so the more taps you want to brew for, the smaller you want to keep your batch size. Do you want to brew traditional lagers, or use unmalted adjuncts? 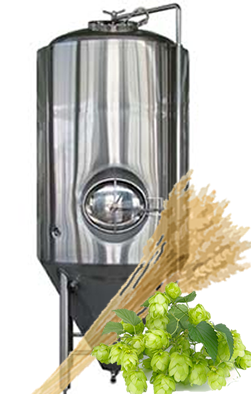 You may need a separate mash and lauter tun, to perform temperature program mashes. Do you want to brew twice or more per day, to fill fermentors larger than your brew length? You may want a whirlpool separate from the kettle, to shorten the time for multiple brew days. How long do you want to mature your beer before serving? That will determine how many bbls of fermentation space you need. There are other factors that play into what size and type of equipment you will need, but these questions are a great place to start as you move to the next stage of your brewery planning. If you are opening a packaging brewery, you are probably planning to expand as you go, so you want to make sure your equipment is set up to allow you to do so easily. Shelf space and tap handles are hard to come by, especially for a new brewery, so you need to choose a small number of beers to focus your efforts on initially. This may affect the decisions made on the size and numbers of fermentors needed, as well as the variety of packaging materials and label approvals. Just as important as your equipment, determining the materials you’ll need for your brewery is vital. Even though you may have recipes developed with certain ingredients, keep in mind that the varieties of malt and hops available are constantly expanding. New hop varieties, in particular, can offer dramatic and distinctive flavor elements, and many of the choice aroma hops can only be purchased by securing forward contracts for future harvest years. This practice has the added benefit of guaranteeing acreage for some of those hop varieties we prize as craft brewers, but aren’t a priority for 80+% of the worlds hop purchasers. Also, when selecting vendors to get ingredients and packaging supplies from, don’t forget to figure shipping costs into your decisions and projections. Shipping can easily add more than 15% to the costs of items, and often obliterates the price difference of a few cents per pound from a more distant supplier. 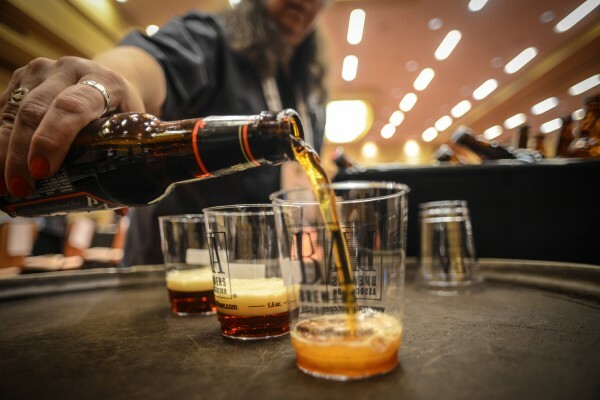 The trade show at the Craft Brewers Conference is an unparalleled opportunity to check options and compare products from both equipment and material suppliers. There are lots of samples to try of malts from different maltsters, new hop varieties, and usually some beers to taste featuring a specific hop variety. It’s also a great chance to inspect equipment from different manufacturers, talk about your goals and ideas, and get quotes. Additionally, there are tons of informative talks on all kinds of brewery and management topics. The CBC is definitely an event that any prospective brewery owner can’t afford to miss. ‘SO, YOU THINK YOU CAN BREW?’ is brought to you be Dan Kahn, MBEC’s resident brewery and all things beer consultant. This segment is going to be broken up into parts, and this is the end of PART 2. Check back soon for PART 3 to learn more tricks of the trade to aide you in your dream brewery! When your brewery is ready to purchase equipment, be sure to go to our website to see what Minnetonka Brewing and Equipment Company can provide for you!